"A famous, classic South American dish otherwise known as 'Ensalada Rusa.' Makes absolutely the best appetizer. Ready to serve as soon as it is chilled, and even better overnight." 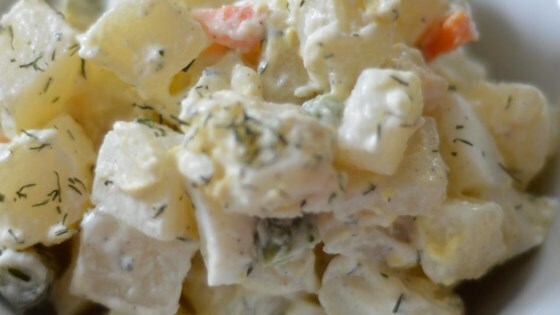 Good, economical salad to bring to a party. A bit dry, however. I grew up eating this salad and it is just the way my mom used to make it. I do use slightly cooked frozen veggies and works just as well.